Google–The search engine giant, has announced to develop the “Quantum Computing” technology in collaboration with the University of California (UC), Santa Barbara. 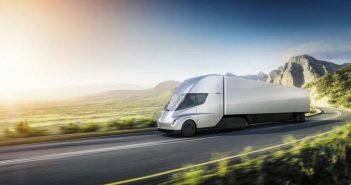 The main aim of this collaboration is to set up the computing speed to a higher level, by developing the World’s fastest computer. 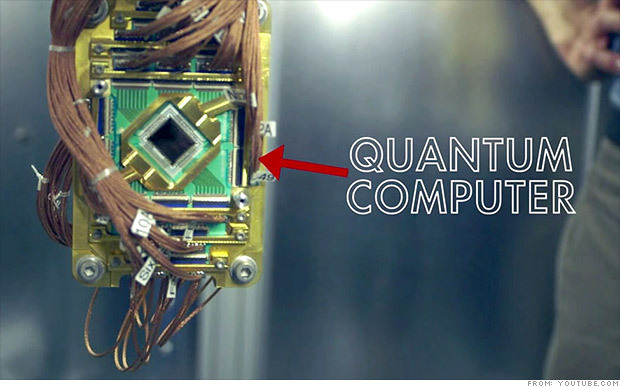 This quantum computer is to be developed using quantum bits generally called ‘Qubits’. The technology behind the use of these quantum bits is highly complicated and still theoretical.The processors of traditional computers (digital computers) use binary system (that is zeros and ones) to process the information. 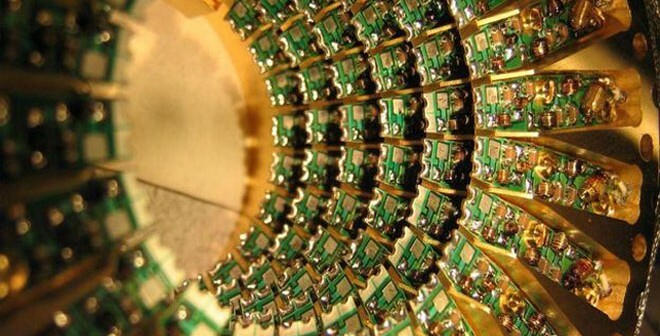 The theory says that the usage of quantum bits will increase the processing speed of the computer. This quantum computer has the capacity to make a Tianhe-2 supercomputer (currently world’s fastest computer in China, which has the capability of making about 55 quadrillion of calculations in a second.) to ‘look like a snail’. 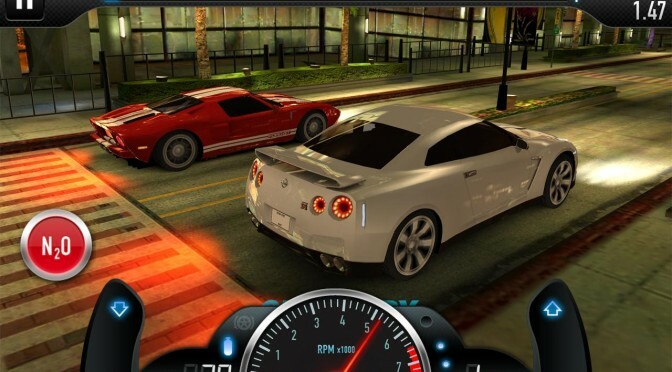 Researchers first revealed the quantum chip technology in the year 2011 at a convention in Dallas. 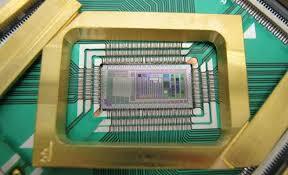 Before joining with UCSB Google has been working with NASA and D-Wave Systems on quantum technology. The “Vesuvius” is the name given to the computer that is being developed by D-Wave Systems and is also called as the first commercially visible quantum computer. 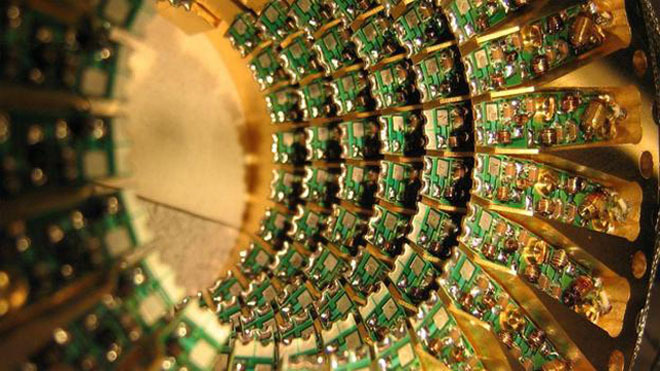 In collaboration with NASA, Google is developing a 1,000 qubit “Washington” processor. Sergey Brin and Larry Page founded Google—an American multinational corporation. The idea of developing Google struck these two young minds during their Ph.D. at Stanford University. 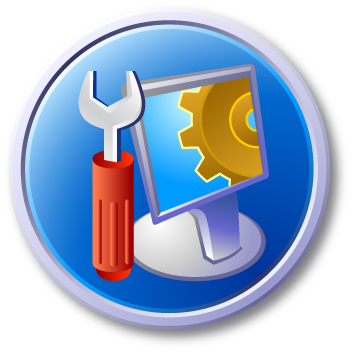 Internet related products and services—which include search, software, cloud computing and online technologies are the specialized parts of this multinational corporation. University of California, Santa Barbara is one the campuses under the University of California mainly focusing on public research. It was named as Anna Blake School after its establishment in the year 1891, later changed to UCSB in 1944. The university has been ranked 40th in the US (United States) and 10th among the public universities by U.S. News & World Report. Theoretically “Quantum Computer” or “Topological Quantum Computer” employs ‘Anyons’, which are 2-D (Dimentional) quasiparticles. The word lines bridge with each other to form ‘braids’ in a 3-D space-time. The computer is made by the logic gates formed by these braids. Alexei Kitaev proposed the idea of making a topological quantum computer in the year 1997. D-Wave Systems situated in Burnaby, British Columbia, Canada is a quantum computing company. The worlds first commercially available quantum computer named “D-Wave One” was developed on a 128-qubit chipset using quantum annealing to solve optimization problems. This company started a Quantum Artificial Intelligence Lab in collaboration with Google, NASA and the University Space Research Association in May 2013 to make a 512-qubit quantum computer named “D-Wave two”. National Aeronautics and Space Administration (NASA) is the US government agency responsible for the aerospace, aeronautics and space programs. NASA was established by President Dwight D. Eisenhower in the year 1958. X-15 rocket plane, Mercury-Atlas 6, Skylab space station are the few initial projects carried out by this organization.